Get Rid of Those Messy Timesheets! Add Our Time and Attendance System and Improve Your Bottom Line! Take gathering messy timesheets, making manual calculations and re-keying time and attendance off your list of things to do. SmartPayroll Solutions has a better, more efficient way with our Time and Attendance system, which now includes GPS tracking for employees on the go. 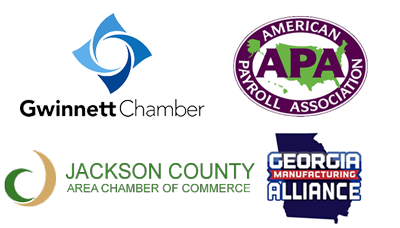 With accurate time and attendance data in place, payroll truly is almost as easy as the touch of a button and even better, accruals are automated and an audit trail is always available. Take gathering messy timesheets, making manual calculations and re-keying time and attendance off your list of things to do. 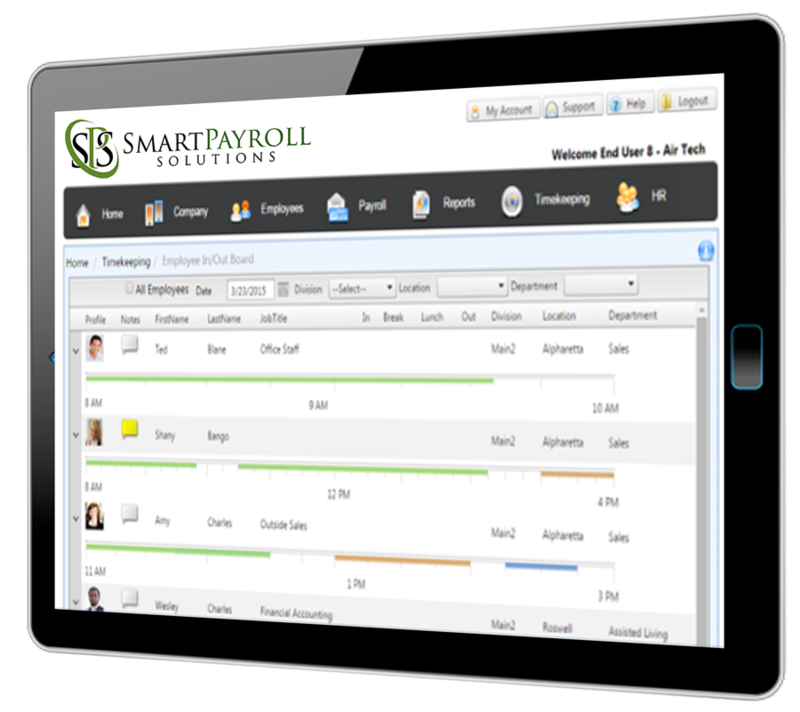 SmartPayroll Solutions has a better, more efficient way with our Time and Attendance system. Our Time and Attendance solutions allow employees to clock in using a mobile device, tablet, computer, key fob, proximity card, fingerprint or swipe card. By offering an online time clock, comprehensive reporting, attendance calendars and more on internet and Wi-Fi enabled devices, our system improves productivity and reliability of your payroll process. The Time and Attendance system produces an accurate account of all hours worked. And you can easily view reports and keep an eye on your employees’ time and attendance. When it is time to run payroll, you can forget the timesheets. Your employees’ hours will already be in the payroll system. When you replace the old timesheets with our Time and Attendance system, don’t be surprised to see an increase in your bottom line. This simple, easy process makes it difficult for employees to steal time and falsify records. And with the right time and attendance reports, our system makes it easier for you to spot potential losses due to theft. Click here to view a detailed list of features! Clock by job & enter piece work for efficient, production management.